which has been quoted online since 2008. We discuss soakwells, what they are and how they are used. 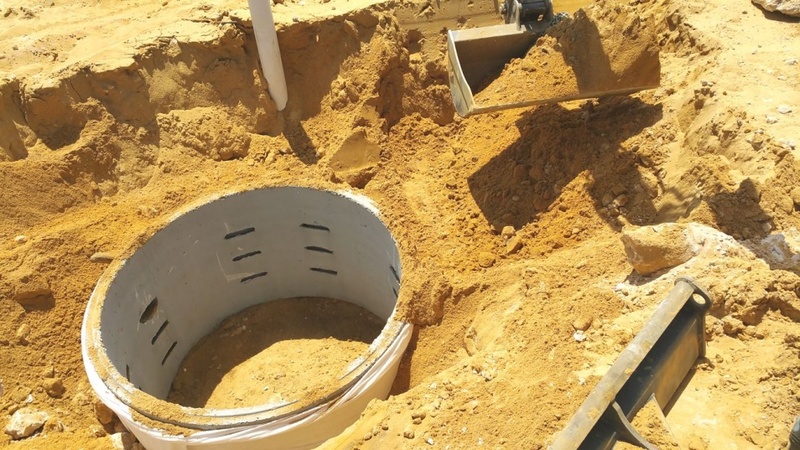 A soakwell, sometimes refer to as storm tanks, storm pits, drainage pits, soak holes and oddly enough, sock wells ;) , are underground tanks that are use to catch and disperse water, typically stormwater runoff via downpipes, gutters and surface drains. Soakwells differ from rainwater tanks in that they they are not used to make use of rainwater for later use. Instead they are used to channel water from above ground to a location below ground where the stormwater will dissipate or disperse into the surrounding soil. Lack of information by client who would otherwise have them installed if they had the relevant information. Misinformation by builders and associates - Most, if not all, Shires in Perth, Western Australia, require a drainage solution to contain stormwater runoff. Lack of enforceability - There is not authority which ensures the installation of soakwells have been adequately performed. Budget - Some clients hold off on the installation of soakwells with the intent of installing them in the future. Poor DIY Soakwells - Clients often attempt DIY soakwell installations, ultimately procrastinating or abandoning the task entirely. The belief that soakwells are not necessary. All areas in Western Australia require stormwater systems. The National Construction Code of Australia also requires stormwater to be adequately tended to. Most of those systems will require either soakwells or sumps. Less often the client will be required to directly connect into a council or municipal stormwater system.